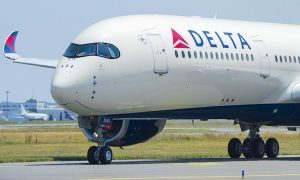 Delta Air Lines and the Port Authority of New York and New Jersey will partner to replace Terminals C and D at New York’s LaGuardia Airport with a state-of-the-art facility. The project, which was approved today by PANYNJ, is part of a new lease agreement to be negotiated at the airport through 2050. The Port Authority has committed, as part of the agreement, $600 million to facilitate construction of the terminal and other supporting infrastructure. Vice President Joe Biden and Governor Cuomo last year introduced a plan to redesign and rebuild New York-LGA to include a new $4 billion central terminal building and a grand central hall unifying the airport’s terminals. Delta has been a partner in that plan since the beginning. Like the new central terminal building, Delta’s new facility will be located closer to the Grand Central Parkway, allowing for additional taxiway space and a more efficient airfield. Delta’s new terminal at LGA will consist of 37 gates located on four concourses connected by a centralized check-in lobby, security checkpoint, and baggage claim. Of the 37 gates, 33 will have access to dual taxi lanes, which will greatly improve airfield efficiency, resulting in reduced taxi time to and from the gate before take-off and after landing. The construction will commence as soon as possible, following regulatory approvals and final lease negotiations. The terminal will feature a new, larger Delta Sky Club with a Sky Deck, wider concourses, larger gate holdrooms and more seating, as well as 30 percent more concessions space than the existing Terminals C and D. The facility will also offer direct access between the parking garage and terminal, improved roadways and drop-off/pick-up areas, and a curbside check-in bypass leading directly into the security checkpoint. The design of the new terminal will integrate sustainable technologies and improvements in energy efficiency. “On behalf of the more than 10,000 New York-based employees who are part of the fabric of this community, we take great pride in Delta’s role in rebuilding one of the world’s busiest and best-known airports in the city that we all call home,” said Henry Kuykendall, Delta Vice President-New York. Delta today operates a major hub at LGA, with about 275 daily departures from Terminals A, C and D.
In addition to its history of investments at LGA, Delta also opened a new, $1.2 billion Terminal 4 at John F. Kennedy International Airport in 2013 featuring a 24,000-square-foot flagship Delta Sky Club. This was followed by an additional $200 million investment in 2015 to add 11 more gates and 75,000 additional square feet in Terminal 4 along with a new bus station and a renovated check-in hall and concourse holdrooms at Terminal 2. 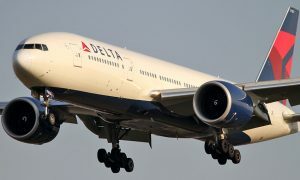 Delta is New York’s largest carrier and has invested billions in New York City’s airports during the past six years, leading the way in improving the traveler experience for a growing number of New York passengers – more than 27 million in 2015. 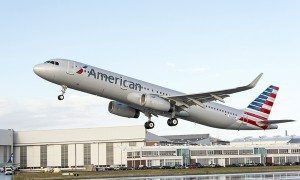 The airline offers more than 500 peak-day departures to more than 130 destinations worldwide from its hubs at New York’s LaGuardia Airport and John F. Kennedy International Airport.